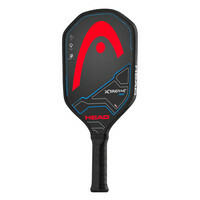 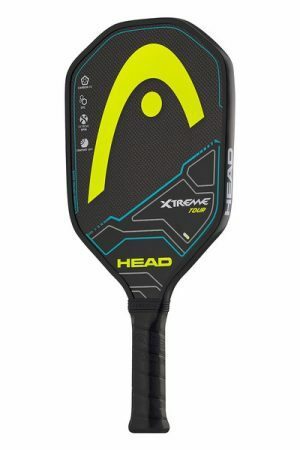 This weight option accommodates a wider variety of players, so whether you want a lighter paddle for more speed or a heavier for more power you’ll enjoy the best option for your needs. 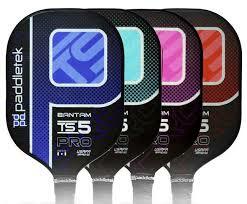 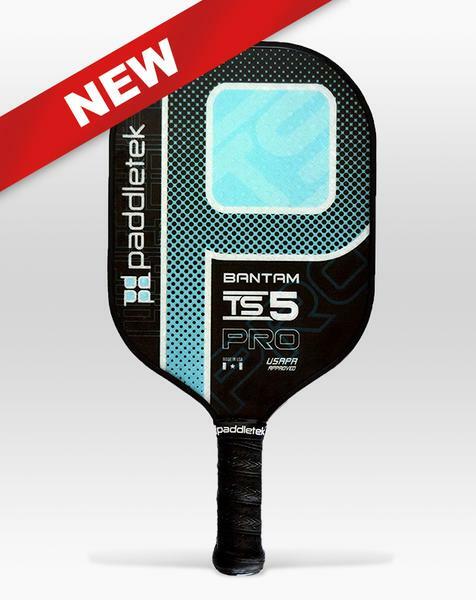 This new Bantam TS-5 Pro shares a lot in common with its original TS-5 brethren. They both come with Paddletek’s limited lifetime warranty. 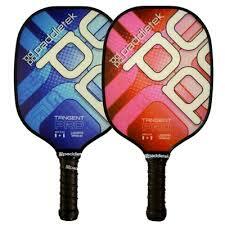 They both are authentically made in the USA, and they most use trademark Paddletek polymer core technology. 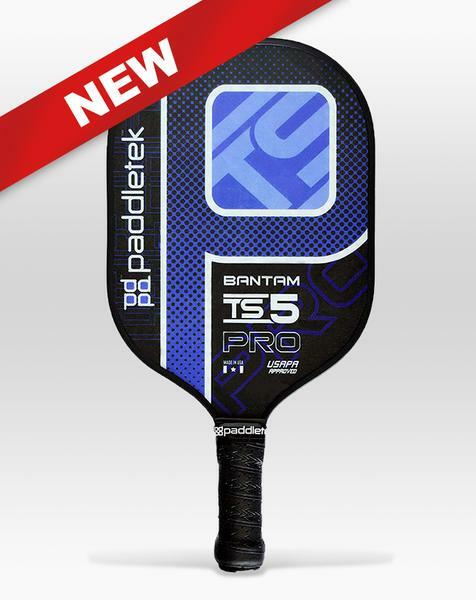 The new TS-5 Pro features a textured face fiberglass hybrid face with a UV coating to prevent breakdown and fading. 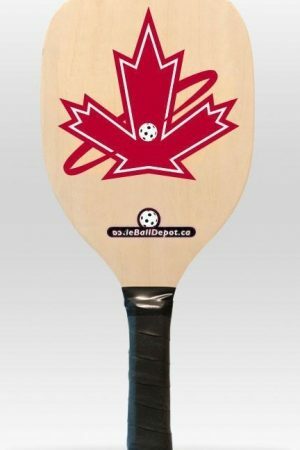 The design comes with a black background which is covered with the Paddletek “P” and has a mesh-like pattern within its outline. The paddle name is displayed to the lower right. 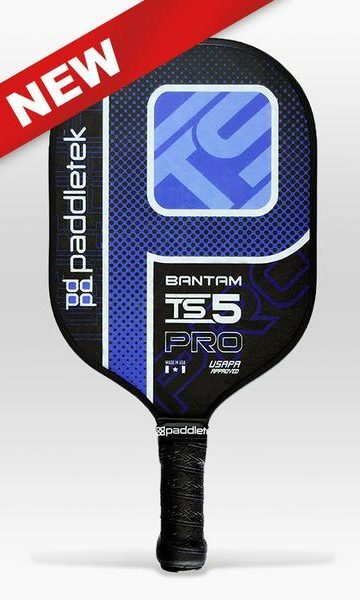 Paddletek Tangent PRO – New paddle!